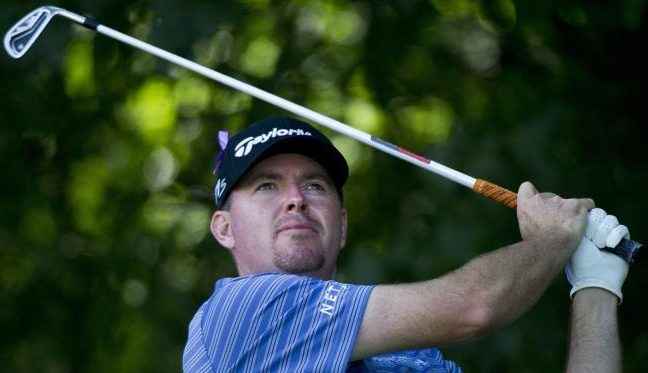 Professional Golf Player, Robert Garrigus currently plays for PGA Tour. He is well known golf celebrity. He is famous for contribution in professional life. In 1997, he turned to professional golf player. He had won one time in his professional career. He had played for Masters Tournament, Open Championship and many more. 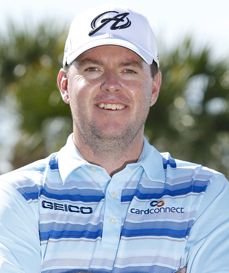 He also won the 2010 Children's Miracle Network Classic. He is also the longest drivers in the golfing world in the year of 2007. On 11th November, 1977 Robert Garrigus opened his eyes first time in the Nampa, Idaho city of United States of America. As he was born to American family, he holds an American nationality. His star sign is Scorpio. As far his education is concerned, he attended Forest Grove High School, Crescent Valley High School in Corvallis and Centennial High School in Gresham, Oregon. He completed his college from studying at "Scottsdale Community College". He was determined to make his career in golf world since his childhood. He is one of the very talented golf players. Robert has got a great personality. Talking about his body, his height is of 1.8o m and weight is of 79 Kg. He has balanced body. He has attractive body figure. His smiling face and charming personality has helped him to gain the attention of all the viewers. In the year of 1997, he turned to Professional golfer and played on different tours such as NGA Hooters Tour and Gateway Tour from 1997 to 1999. In the year of 2000, he also played Web.com Tour. He was also the member of the nationwide tour in the year of 2002, 2004 and 2005. He played season 2010 very brilliantly. In the year of 2011 he made his first cut in a major at the U.S Open at Congressional Country Club. Due to impressive performance in U.S Open, he got invitation to the U.S Open 2012 and the Masters. He also took part in the Long Drive Contest for Charity at the Hyundai Tounament of Champions and finished with the longest drive of 365 yards. He is married person with Ami. They are blessed with one son in the year of 2010. They seem to be very happy with each other. The couple makes public appearances together often. There is no any sign of Separation between them. They are living peacefully. He might have earned considerable amount of net worth and property about which he has not openly spoken about in public. His exact net worth figure is still yet to get unfolded. This excellent golf player makes good money from his work. His net worth and salary is kept in privacy but there is no doubt in the mind of his supporters and followers he is satisfied with his earning. His primary income source is form playing golf.